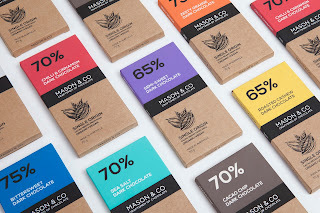 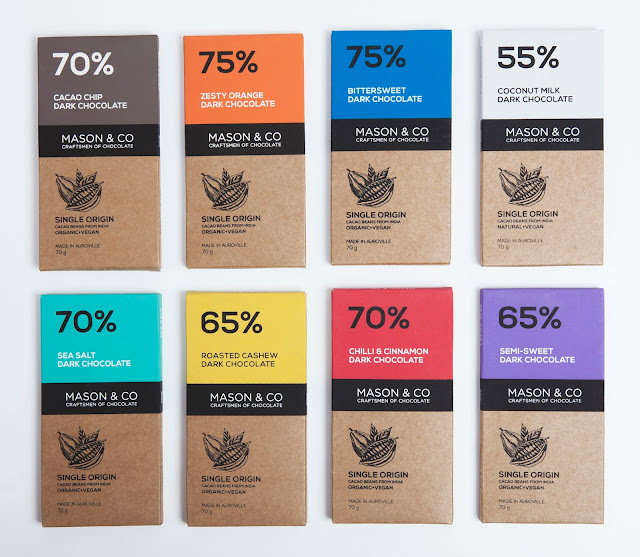 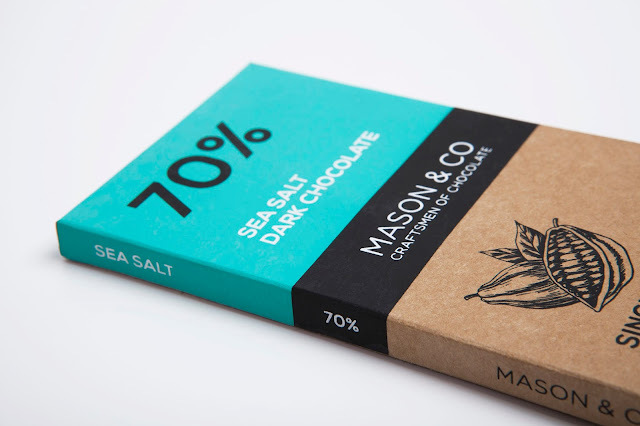 A range of bold and vibrant packaging for seriously good dark chocolate by Mason & Co. 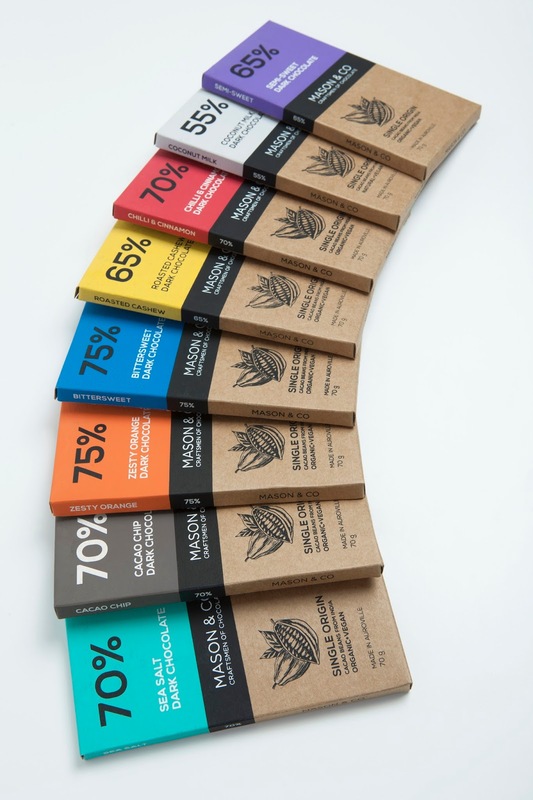 The bean to bar chocolates are produced in small batches. 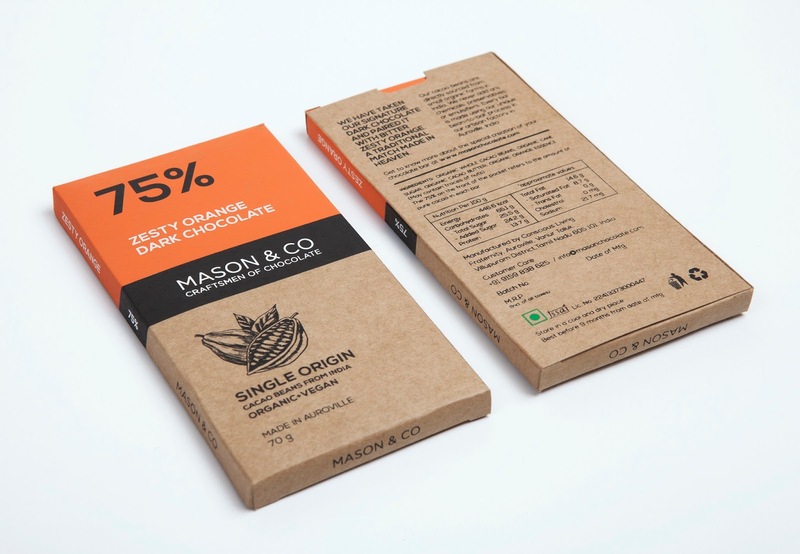 These organic and vegan bars are locally packaged in screen-printed kraft board boxes.